Rated 4 out of 5 by gabrelle_gabby from Makeup remover that takes care of the skin I use this to remove my makeup every night and as cleanser in the mornings. I've used 4 bottles of this so far already. This products cleanses my skin without drying it and keeps my skin balanced. As a pleasant surprise, this product helped me keep my skin balanced so that my acne blemishes went away. The downside is that this didn't work with cleansing all the Clarins makeup products that I have used.This cleanses well the Skin Illusion foundation and the BB cream. It is difficult to remove my cushion foundation, since I like to layer the cushions foundation for perfect coverage. Rated 5 out of 5 by Bettie from A Wonderful Product! This is a wonderful product! I have been using it for years and love it! It is a creamy cleanser which after being wiped and rinsed off leaves the skin clean, refreshed and moisturized. It is a stalwart against aging, drying skin and leaves ones skin smooth and feeling younger! 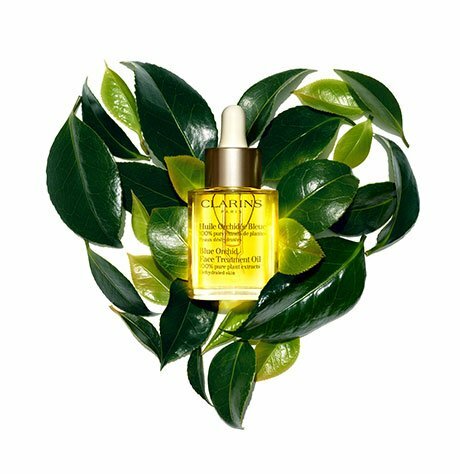 Rated 5 out of 5 by positivevibe from Clarins skin care product never fail This cleansing milk leaves my skin soft, supple and hydrated. Makes me feel great and beautiful. Rated 5 out of 5 by MsMilesMath from Gorgeous cleanser This cleanser is a pleasure to apply. Smells great, gentle yet effective. Soft herbs make me feel relaxed and refreshed. Rated 5 out of 5 by JAesthetician from Perfect cleanser As an Esthetician I can tell you that a cream or milk cleanser followed by a toner is so wonderful for your skin as you age. This cleanser is amazing. Skin is clean but not stripped. I love it!